Invincibella (left) has just beaten stablemate Noire in the Group Two Sheraco Stakes at Rosehill. A short half head is all that has separated Invincibella and Noire in the Group Two Sheraco Stakes with the two mares sharing other similarities. Both are owned by Star Thoroughbreds syndicates and both are trained by Chris Waller. The also raced together in Saturday’s 1200m-sprint for fillies and mares, coming from near last to fight out the finish with Invincibella ($9) getting the edge over Noire ($8). “They are the ones you don’t really mind which way the photo goes,” Waller said. 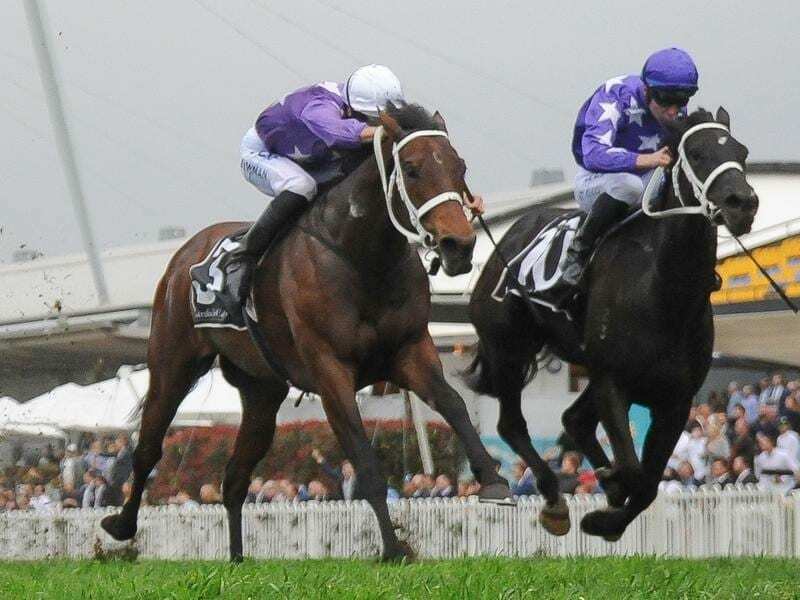 Although Waller would like to keep the two mares apart, they are likely to clash in the Golden Pendant in two weeks. The trainer said both mares had worked their way through the stable system and their grades. “Invincibella has been a really good horse,” he said. “She very rarely lets us down if she gets conditions to suit. “Noire is a year younger than Invincibella so I think the best from her is still yet to come and the beauty of the spring is that there are so many options. Hugh Bowman rode Invincibella and said she had the potential for more. “She’s been such a consistent mare and I think she wouldn’t be out of place in a Group One mares’ race during the carniva,” he said. Noire’s jockey Tommy Berry said she had appreciated the heavy ground and he could not fault her.